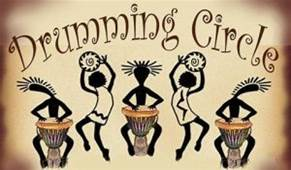 The InterMountain Teen Centers is hosting a Healing Drum Circle Wednesday, November 14 from 6-7 p.m. in the great room at Hill Country Clinic in Round Mountain. Drumming is fun, creative, stress-relieving and therapeutic. Some of the psychological applications in which hand drums are being used include assisting veterans to release the emotional pain of post-traumatic stress disorder, releasing the pent-up anger and negative emotions of “at-risk” adolescents, and promoting health in corporate executives through releasing their day-to-day stress, in addition to many other applications. … provides those who use it with a link to others. The drum seems to have the capacity to unite all individuals who choose to experience it together. Despite race, religion, color, creed, background, or ideology, all are joined together through this ancient instrument’s calling. The drum, therefore, becomes a vehicle for transporting all who utilize it, across all boundaries, to an experience of wholeness and community. The Intermountain Teens Healing Drum Circle will be led by Verena Compton an experienced drummer who has participated in drum circles for many years. The event is free and open to the public. Experienced and novice drummers alike are welcome. Bring drums and other rhythm instruments if you have them. If you can, bring one to share. If you don’t have a drum but want to learn, come.